See Victoria Falls from a different perspective on this Victoria Falls adventure canopy tour. 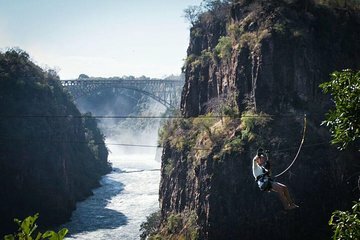 Fly down a series of nine zipline cables overlooking the Victoria Falls bridge, Zambezi rapids, and even the spray of the falls, followed by adventures on a rope bridge and nature trails.  This tour is led by safety guides who ensure your safety as well as a good time. This Service is Weather permitting. Clients are adivsed to bring sunscreen, mosquito repellent, and hair ties for longer hair. Lockers are available, but guests are encouraged to try and leave valuables at home/the hotel. Minimum age: The minimum age for this activity is 6yrs, at management's discretion children may be required to travel in a double harness with an adult. Parents or guardians of any child under 16 must be present and available to sign an indemnity on the child’s behalf. Management retain the right to turn a child away at their own discretion should they feel the child is not able to cope with the experience in any way. Fantastic afternoon! Nacho and Sebastian were very organized and made me comfortable on my first zip line experience. We did nine different runs, and all were exciting. I'll go again the next time I am in Victoria Falls.